Where does Edinson Cavani rank amongst his generation's best strikers? Where does Edinson Cavani rank amongst his generation’s best strikers? When Neymar officially signed for Paris Saint-Germain in August 2017, the dominant narrative surrounding his decision to leave was that he did not want to be in Lionel Messi’s shadow. The Brazilian superstar has immediately settled in the French capital. Along with teenage sensation Kylian Mbappé and Edinson Cavani, the three forwards have cemented themselves as one of the most lethal attacking trios in world football. However, while Neymar soaks up the majority of the limelight and Mbappé continues his incredible development in his hometown, it’s Cavani who is somewhat of an afterthought at PSG. This is nothing new for him; he was forced to play on the wing in his first three seasons at the club while Zlatan Ibrahimović led the line. 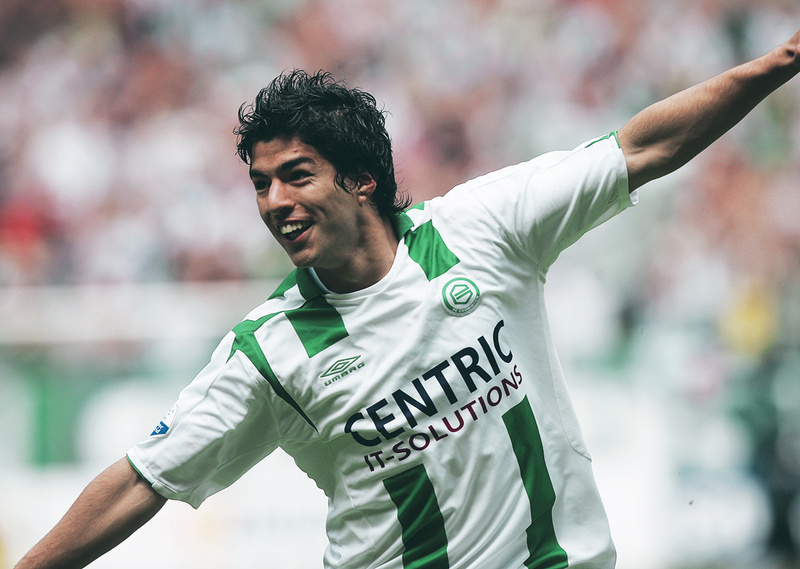 Despite his hefty €65 million price tag, the Uruguayan was seldom deployed in his primary position. Even when Cavani represents Uruguay, he often finds himself out wide to accommodate Luis Suárez. 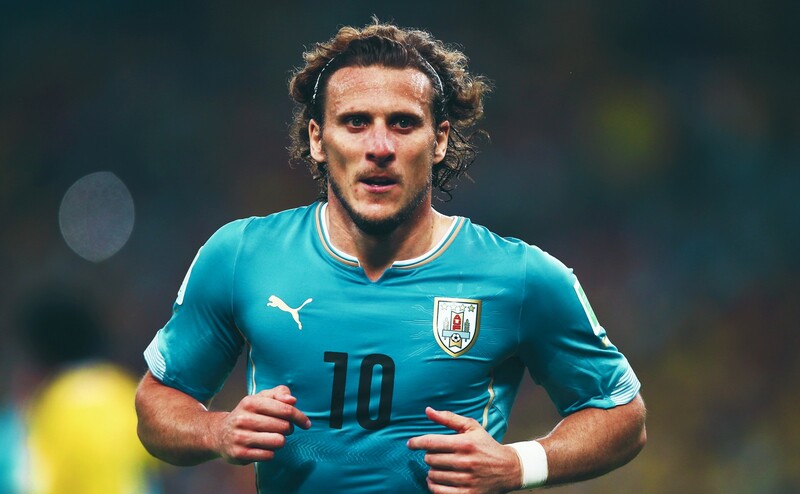 Before Suárez, it was Diego Forlán who received the plaudits. Due to all the authoritative personalities around him, the 30-year-old is often overlooked as a world-class centre-forward. In the age of social media and recency bias, it’s very easy to forget Cavani’s breakthrough years in Serie A with Palermo and Napoli that caught the attention of Europe’s wealthiest clubs, including PSG. In fact, it was the Sicilians who discovered the lanky forward and a few other hidden South American talents like Paulo Dybala and Javier Pastore, the latter playing with Cavani in Sicily and in Paris a few years later. Cavani, along with Suárez, represented Uruguay at the Under-20 World Cup in Canada. That 2007 tournament is still considered to be one of the most star-studded and exciting editions of the competition to date. However, it was at the South American Youth Championship where the forwards turned heads. Cavani was the top scorer with seven goals, which led to AC Milan and Juventus sniffing around for his services. Without any warning, Palermo president Maurizio Zamparini announced the signing of Cavani for around €4.5m from Danubio. Zamparini may be a wild character who goes through coaches like napkins, but his knack for uncovering South American talent is almost unmatched. Within a few months, Cavani was battling for a regular starting spot, and once Amauri had departed for Juventus in 2008 ahead of the Uruguayan’s second full season in Italy, he cemented his position up front. Cavani finished the 2008/09 campaign with 14 goals in 35 Serie A matches. 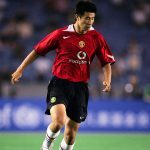 He scored in victories over Roma and AC Milan, plus he notched a decisive strike against José Mourinho’s Inter in a 2-2 draw at the Giuseppe Meazza. The following season was another successful one for both Cavani and Palermo. The 22-year-old racked up 15 goals and delivered in some marquee games. Napoli, Lazio, Juventus and Inter could not stop the former Danubio man. The Naples-based club were so impressed that they acquired Cavani for a €5m loan fee with an option to buy him outright for an additional €12m. Cavani had shown promising signs in Sicily, but as the club’s most expensive signing, there was immense pressure. Cavani had lost his place to countryman Abel Hernández towards the end of the previous season at Palermo, whose attack did not rely on one forward, though Fabrizio Miccoli was taking the bulk of the shots. Despite those issues, Cavani was in the Uruguay squad for the 2010 World Cup. While he was a regular starter during the team’s stunning run to the semi-finals, it was Forlán and Suárez who dominated up front. Even though he was not dominant at the tournament, Cavani enjoyed a hot start to his first season on the Amalfi Coast. The Uruguayan had recorded 17 goals in all competitions by the winter break. Although the majority of those tallies came against so-called lesser opposition, he went on to eclipse his previous best total in Serie A leaving Napoli fans enamoured with their record signing. Napoli ended up finishing in third place to qualify for the Champions League as Cavani led the way with some massive goals. He bagged hat-tricks against Lazio and Juventus, plus a brace to down Roma in the second half of the campaign, and carried that momentum through the summer with Uruguay into the 2011 Copa América. La Celeste’s three-headed monster of Cavani, Suárez and Forlán gave real hope to their country of winning their first trophy since 1995 to become the most successful side in Copa América history. Cavani was deployed on the right flank, with Forlán through the centre and Suárez on the left. Because Forlán dropped deep at times, both Cavani and Suárez often drifted inside to form a lethal duo with Forlán playing in a pseudo number 10 role. Unfortunately, Cavani suffered a knee injury in the Group C finale against Mexico and was ruled out until the final. Uruguay advanced, so Cavani was back in the squad to face Paraguay. The Napoli man entered the match in the 63rd minute and helped close out a 3-0 win. Uruguay were champions of South America for a record 15th time, but due to Cavani’s injury, he had only played a minor role in the overall triumph. He was determined to return to Italy and make amends. Despite finishing with 26 goals that season, he was only just getting started. Napoli’s talisman scored 23 times in his second campaign and played a vital role in the club’s Champions League run. A brace against Manchester City in Naples was among the highlights, though a vital strike at the Etihad and at the San Paolo versus Chelsea in the round of 16 proved decisive as well. Chelsea eventually overturned a 3-1 deficit from the first leg to advance 5-4 on aggregate, en route to their first-ever European Cup triumph. However, Napoli managed to cap off the season with a trophy when they shut out Juventus 2-0 in the Coppa Italia final. Cavani scored the opening goal from the penalty spot, Marek Hamšík doubled the advantage, and Napoli celebrated their first trophy since the Diego Maradona era. Unleashed fans partied through the night and into the morning. The city was delirious after a barren 25-year run without silverware. If there was any doubt about Cavani, he alleviated those fears. Napoli had a tough fight on their hands to keep him at the club; his Champions League exploits had led to virtually every team in Europe calling president Aurelio De Laurentiis. The movie mogul managed to keep his prized striker over the summer, but not for long. The 2012/13 campaign was a career-high for Cavani. Thirty-eight goals in all competitions – 29 in Serie A – a Golden Boot and a second-place finish in the table was the perfect conclusion to his time in Italy. Paris beckoned, but like with Uruguay and Palermo, he was back to playing a secondary role. Ibrahimović started up front, which was not ideal for Cavani. The Swede loves to operate in plenty of space, which meant Cavani could not drift inside too often. Regardless, he still scored 81 goals in 147 matches in all competitions from the wing. When Ibrahimović departed for Manchester United, Cavani capitalised. He finished the 2016/17 season with 47 goals in as many matches as PSG’s number 9; only Lionel Messi scored more than the Uruguayan. At 29, Cavani was finally the main man. Of course, everything has since changed with Neymar and Mbappé’s arrivals, yet Cavani still leads the line and is still scoring at an absurd rate. Arguments over set pieces aside, the Uruguayan continues to shine, even in Neymar’s and Mbappé’s respective shadows. With Uruguay, Cavani finished the 2018 World Cup qualifiers as the top scorer with 10 goals while Luis Suárez was serving a suspension or recovering from injuries. Many still criticise Cavani for bottling too many clear-cut opportunities in games, especially in the Champions League. It’s a fair point, but he constantly finds himself in great positions, which few strikers can do on a game-to-game basis. Cavani is the master at executing the correct runs at the right time, an ability he should be commended for. He could finish a campaign with 50 or 60 goals if he was able to convert those chances, but he’s still managed to become PSG’s all-time leading scorer. Ironically, Cavani surpassed Ibrahimović, the man who pushed the Uruguayan to the periphery. Some players earn more respect after retirement, and Cavani may fall into that category, which is a shame. 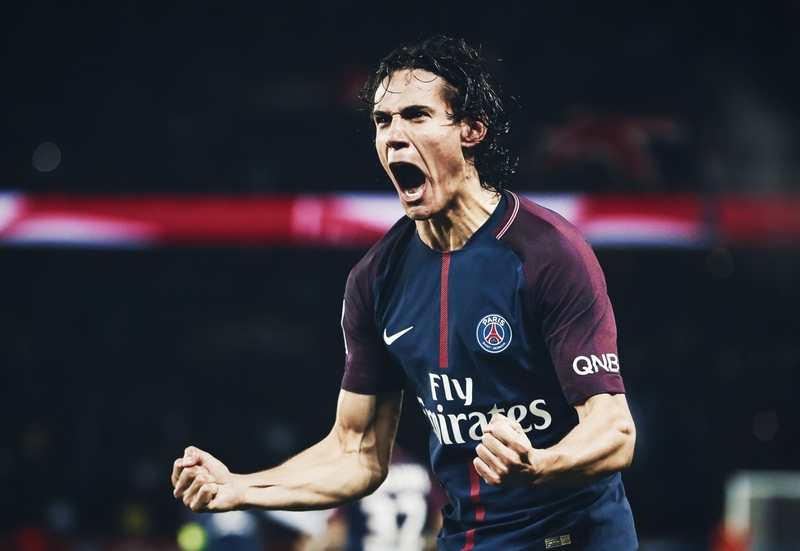 Whether he is the key forward or quietly producing in the background, Cavani will finish his career as one of the most lethal goalscorers we have ever seen – statistically at least – yet he likely wouldn’t be the first name on everyone’s mind when discussing the best forwards over the last decade. Not everyone can score on the grandest of stages, win Golden Boots in two separate leagues or settle into their surroundings as well as Cavani. It would be a travesty if the football world fails to recognise his accomplishments when he calls time on his career.